The AMD Ryzen 5 1600 is a desktop processor with 6 cores and Hyper Threading (SMT = 12 threads). It is the second fastest Ryzen 5 processor in the beginning of 2017, but the 65-watt TDP is much lower compared to the higher-clocked Ryzen 5 1600X. The Ryzen 5 1600 has a base frequency of 3.2 GHz and can reach up to 3.6 GHz via Turbo (up to 2 cores) or 3.7 GHz via XFR (also up to 2 cores). The maximum clock for all six cores is 3.4 GHz. The performance is particularly good in applications. The chip can benefit from its six native cores. They are divided into two clusters (3 cores with dedicated L3 cache each), which connected via Infinity Fabric. The processor based on the Zen architecture is not fully convincing in games. AMD blames missing optimizations from the gaming producers. Intel's powerful Core i7 quad-cores are usually faster in this case. 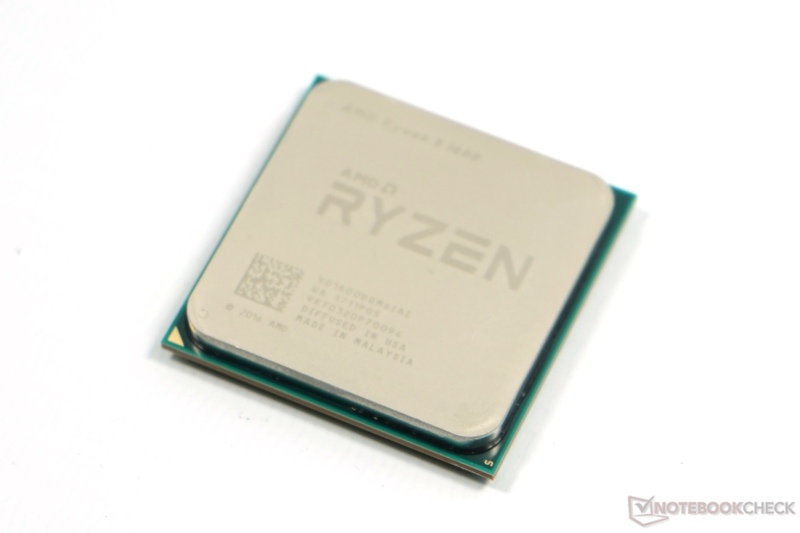 The AMD Ryzen 5 2400G is a desktop APU that was announced in early 2018. It is the fastest Raven Ridge APU at that time and features all four Zen cores (8 threads due to SMT support) clocked at 3.6 - 3.9 GHz with a Radeon RX Vega 11 graphics card with 11 CUs (all of the 704 Shaders on the chip) clocked at up to 1250 MHz. The integrated dual-channel memory controller supports up to DDR-2933. The TDP is specified at 65 Watt and the CPU, GPU and memory are unlocked for overclocking. More information on Raven Ridge can be found in our launch article.